Brinware has a line of dishware that is eco friendly tableware for toddlers, that the children and parents will fall in love with! Each piece from their line is super colorful from bowls, plates, placemats and more. The dishes are made with tempered glass that come with a removable silicone sleeve, that offer slip and break resistance for an even more durable combination! The silicone sleeves remove very easily so you can mix and match the colors which makes it even more fun! The plates have really fun designs on them, they have some really cute designs to choose from! I love the silicone sleeves, it does really help in not slipping out of your hands. I love that the line is made of tempered glass, it give a new edge to toddler dishes instead of the basic plastic dishes you normally see! 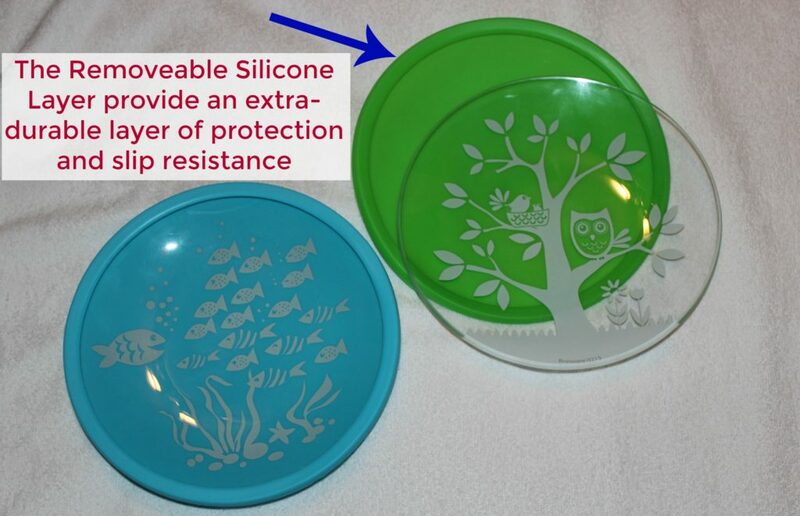 They strive to provide safe and fun dishware for toddlers! 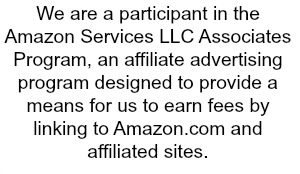 All their products are FREE from BPA, Lead and Phthalates, which as a parent is nice to hear. You read all these stories online and see it on the news, all you want to do is to protect your child from these harsh chemicals as much as you can! They are microwave and dishwasher safe as well which is nice! I am all about dishwasher safe products these days! 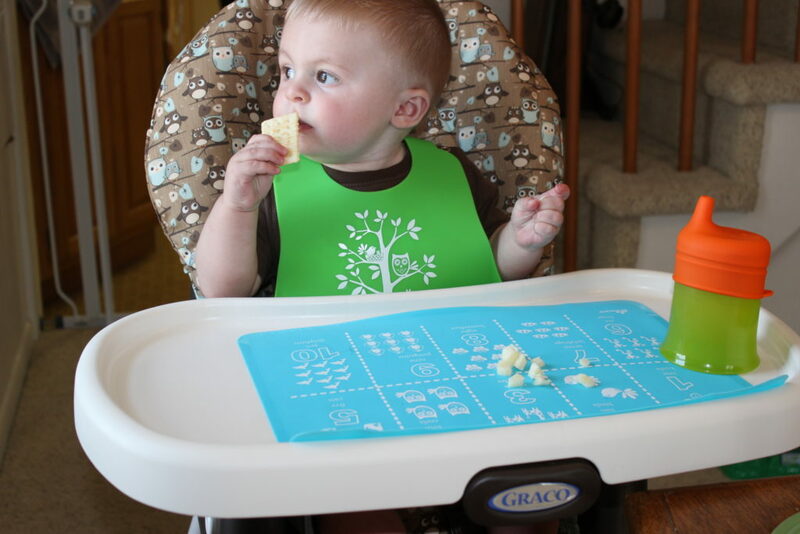 They also have these adorable placemats and silicone bibs that I am loving! 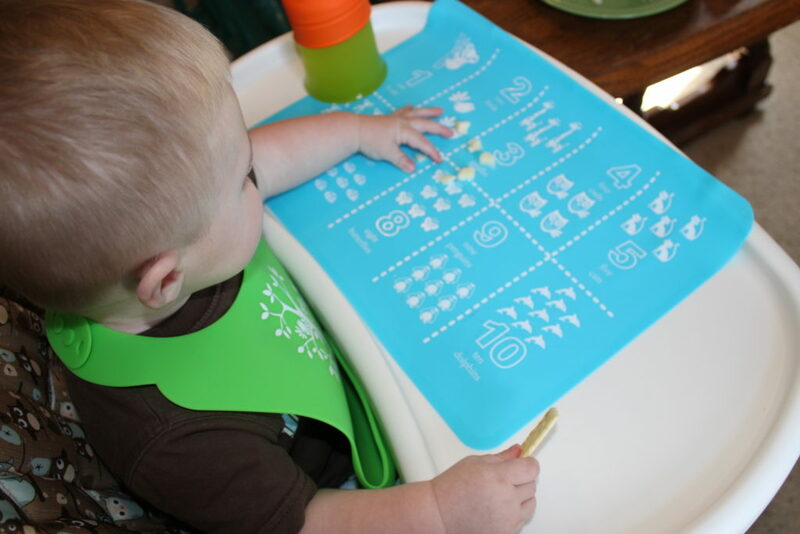 I put the placemat down on the high chair and it gives Clay something to play around with and stay entertained while he eats! I love how this one is a counting one, it is never to early to start teaching a child! The bib is amazing as well because it has a little lip in the bottom so if he drops food while he eats it can get caught in the little lip area. Granted sometimes the food doesn’t go in, but it has caught a lot of the food, so I count it as a winner! If you are interested in buying any of the Brinware line, head over and find a store near you or shop online! They have a ton of adorable items that your child and you will fall head over heels for!